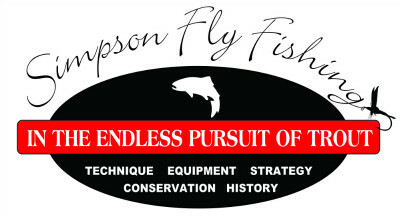 When I take newcomer fly fishers to a stream, one of the first questions asked is where to cast the fly. Teaching newcomers to read trout streams is challenging. More experienced fly fishers are accustomed to breaking down the water into primary lies, feeding lies and holding lies. They look for riffles, runs, pools, tailouts, eddies, seams, and structure. But this is TMI (too much information) for most newcomers. So I have struggled to find a way to teach them how to read trout streams like an expert, when they’re not. 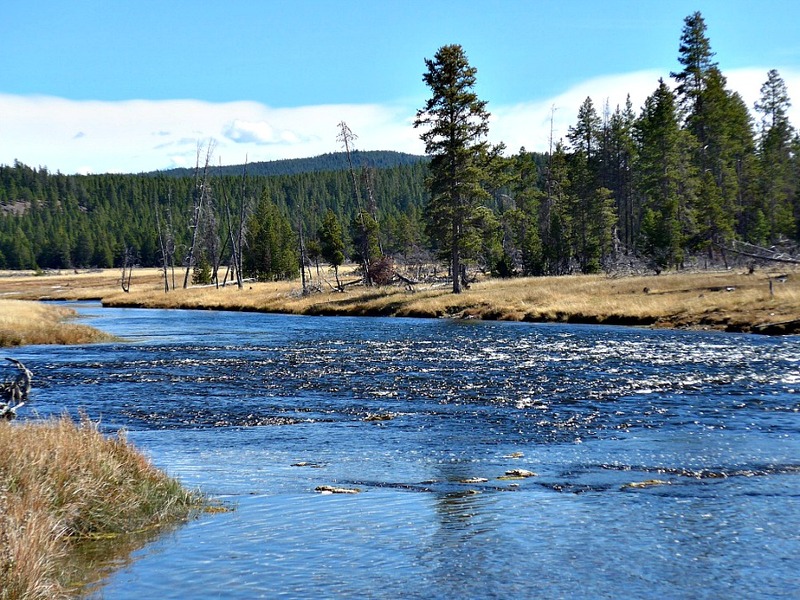 In a typical trout stream, most of the water contains but a few, scattered fish. Rather than distributing themselves evenly, they congregate in specific portions of the stream. Consequently, if we want to reliably catch fish, we need to understand where they hang out, and spend our time fishing there. 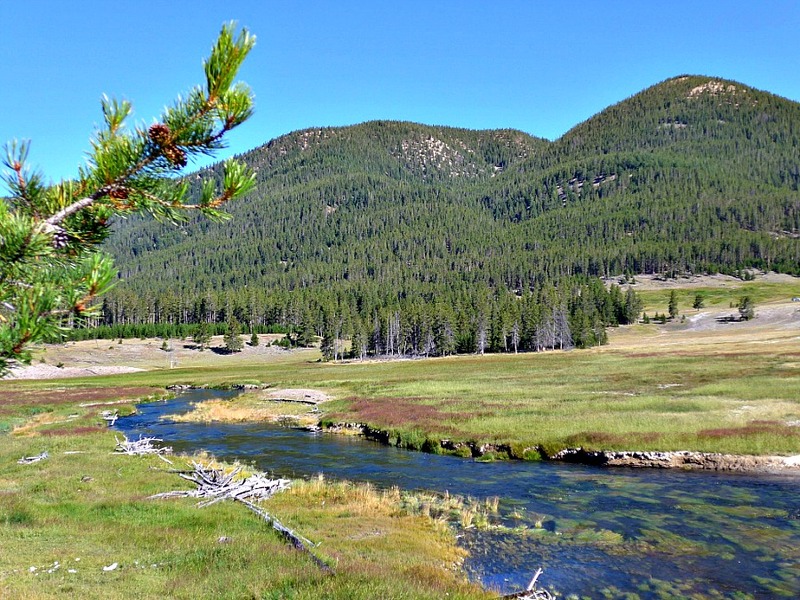 Louis Cahill recently posted a blog on his website, Ginkandgasoline.com, titled “10 Types of Water That Always Hold Trout”. He suggested that they could be recognized if one looked for the “three C’s- current, cover and cuisine”. I agree with Louis, but I think I have discovered an even simpler answer for newcomers- “fish the edges”. While fishing the edges may be an oversimplification, and may not hold in every circumstance, it seems apropos for most. By edges, I am not referring simply to the edge or bank of a stream. Rather, I am referring to edges or seams in the water created by structures that alter the current. So let’s look at some common situations, and see if fishing the edges is a helpful approach to the placement of a fly. I’ll start with an easy one. An experienced angler, looking at the stream-section shown below, sees a number of things. They include the undercut bank, overhanging foliage, shade, deep and quiet water, and a foam-line carrying food. The conclusion would be that this is a prime lie, certain to hold trout, and best fished by drifting a fly along the foam-line. But if newcomers simply remembered to fish the edge of the stream, they would place their flies in the same place, right? 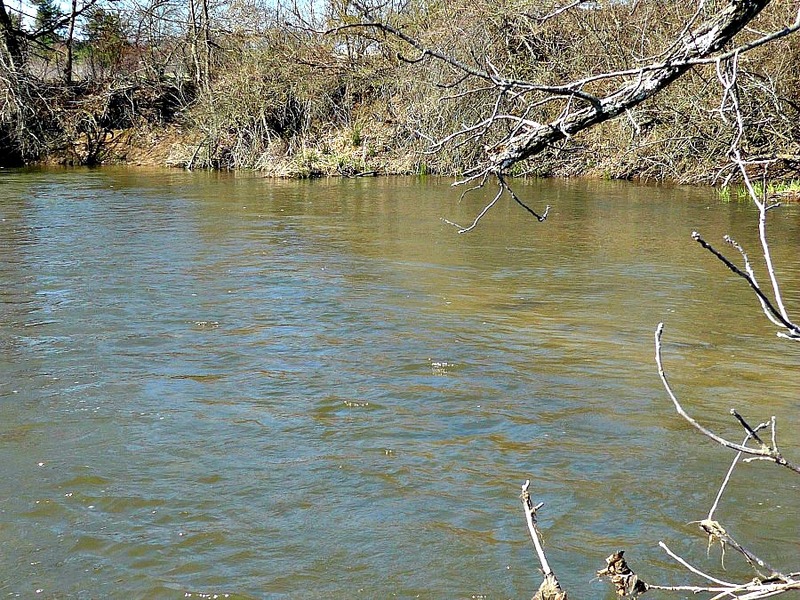 Our experienced angler would look at the section of water below, and recognize a run. Runs begin with a rapid “fall” upstream. The rapidly moving water initially carves out a deep section at the “head”. As it flows downstream, the water slows. As a result, the stream gradually becomes more shallow, ending in a “tailout”. Thus runs feature a head, seams between shallow and deep water, swirling eddies, and tailouts. Each is a likely holding area for trout. Our experienced angler would first fish the tailout, then the deep/shallow seams, and finish with the back-eddies at the head of the run. But a newcomer might appreciate that there are two edges, seen as a change in water color. The first is the closer edge between the shallow and deep water, and the second is the far edge, between the shallow and deep water. Beginning at the shallow, downstream tailout, and working upstream, drifting a fly along the entire length of both edges, would cover nearly all of the best lies in this run. The picture below reveals a drop-off, the sudden transition from shallow to deep water. Such drop-offs occur in both streams and stillwaters. Trout food, that is bugs, minnows and crustacea, live in the shallow water. But trout are reluctant to expose themselves to feed there. Rather, they hang in the deep water, which provides cover, and wait for a morsel to pass over the edge into the deep water. Our experienced angler would recognize this, and make a series of casts into the shallow water. The proffered fly would drift over the edge, and hopefully entice a hungry trout to strike. But a less experienced angler could obtain a similar effect by simply drifting a fly along the edge of the drop-off. 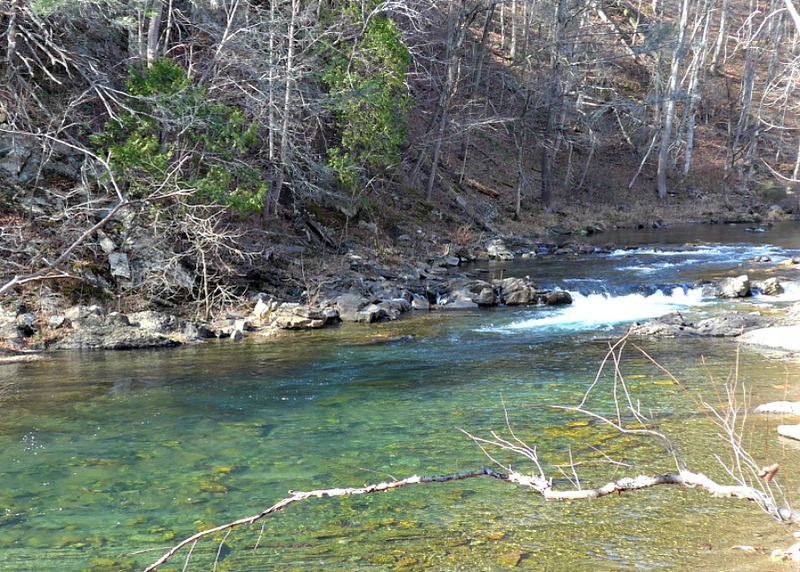 Large rocks protruding above the water’s surface are frequently encountered on trout streams. Savvy anglers understand the hydraulics they create. There is a soft spot just upstream of the rock, providing a break from the force of the current. Trout often linger there. Downstream, there is a large, smooth, soft-spot. Our experienced angler knows that trout seldom lie in the large soft spot itself. Rather, they stack up along the edge of the soft spot and the rapidly moving water, where food drifts by. While our newcomer may be tempted to fish the soft spot, remembering to fish the edge will again serve him well. A fly placed upstream of the rock, then drifted along the edge of the rock and the edge of the soft spot below, nicely covers this structure. If possible, both edges should be fished. The picture below illustrates a riffle. Streambed rocks create the turbulence we call riffles. The water is oxygenated as it tumbles over underlying rocks. Riffles feature shallow water, with interspersed deeper pockets. Our experienced angler knows that aquatic insects lay their eggs in riffles, where most of the nymphs remain and grow into adult flies. With well oxygenated water, cover provided by the surface turbulence, and a constant supply of food, trout are always present. 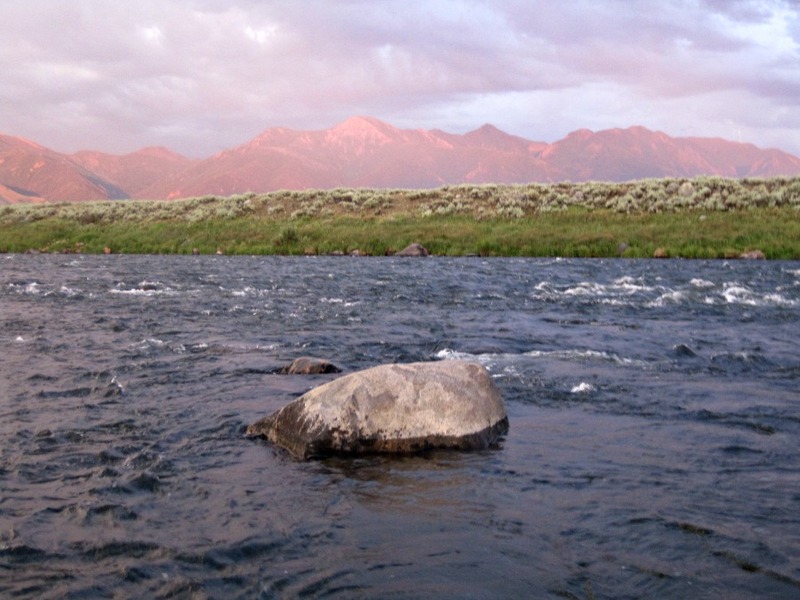 Fishing riffles can be difficult (see Fly Fishing the Riffle). But if our newcomer simply remembers to fish edges, in this instance the edges of shallow water and deeper pockets, he will cover most of the water very well. The small stream below is a spring creek, and features a different type of structure, aquatic plants. Our experienced angler knows that such streams are rich in aquatic insects, shrimp and scuds. 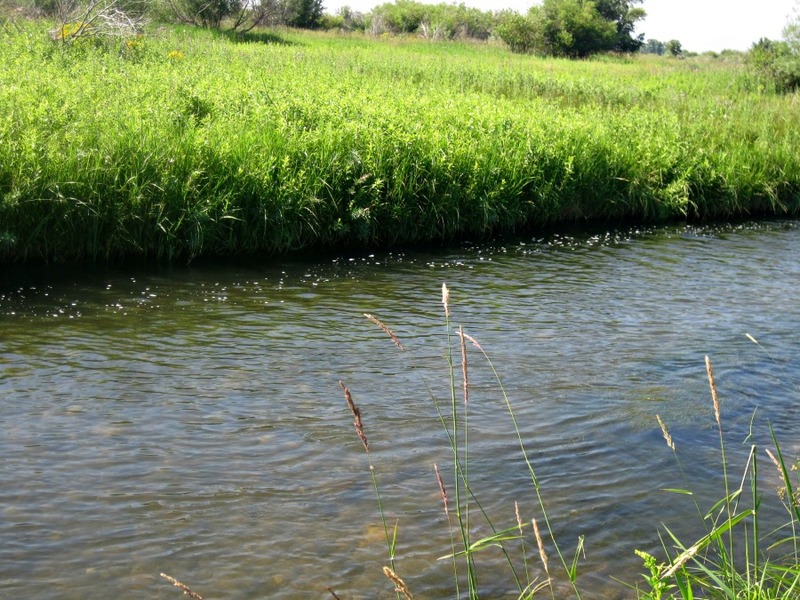 The plants provide overhead cover for trout, that most often hang under the undulating fronds. Food passes overhead between the plants, where the current is a bit faster. Thus the best fishing approach is to drift a fly along the edges of the plants seen on the surface. Again, fishing the edges serves both experienced and newcomer anglers well. It takes time and experience, i.e. many fishless days, to learn how to read trout streams. But while gaining that experience, I think that “fishing the edges” generally serves as a good guide to finding fish. 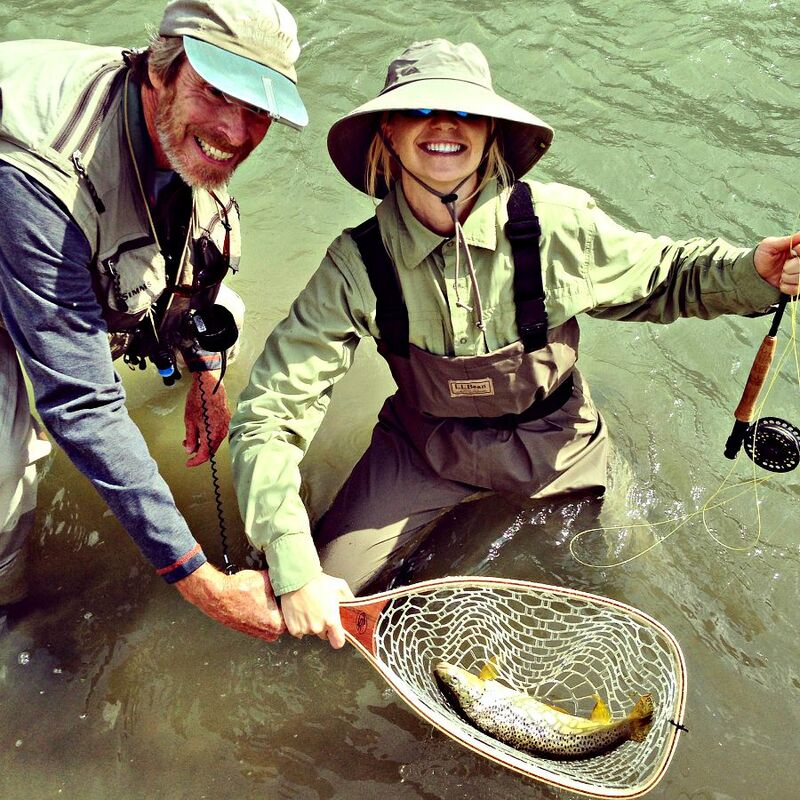 daughter-in-law Kelly fished an edge and caught her first trout! written by Al Simpson, April, 2019. Great job on reading a stream. As usual, I’ve learned lots from your articles.